A “Prime” or premium version of the Samsung Galaxy S5 has been rumored since before the regular GS5 ever arrived. Even with denials about the phone’s existence by Samsung executives, evidence continues to pile up suggesting that the phone is real and could be here this summer. Pictures posted today by PhoneArena claim to be the first of the phone in yet another leak that should frustrate anyone who bought the regular Galaxy S5. What do these pictures show us? Well, it looks like some sort of a Galaxy S5 variant, only with a slightly different USB port cover and metallic rim around the device. The backside also has a squared-off camera housing that appears to connect the lens with the heart rate monitor into a single housing. The backside still carries the dimpled exterior from the regular Galaxy S5, only it looks slightly more robust, potentially thanks to a larger battery. I would argue that it looks much shinier than the regular GS5 as well. It’s tough to tell if it is metal or not. 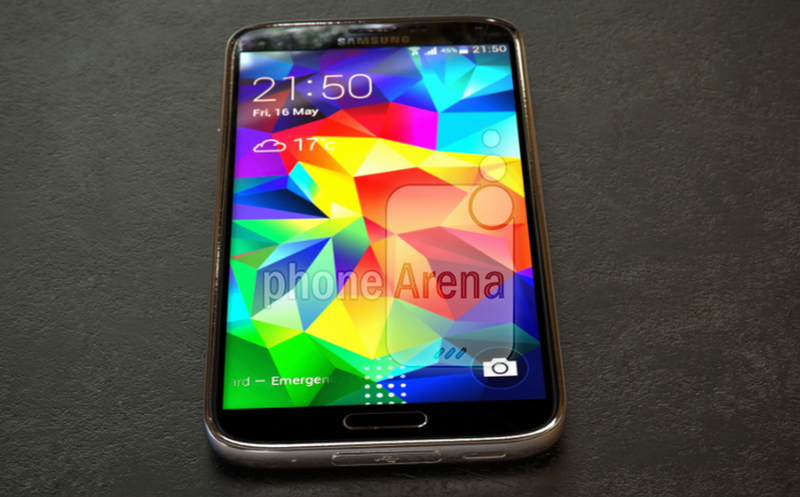 The version of Samsung’s TouchWiz looks identical to that on the current Galaxy S5. We are even seeing the fingerprint scanner setup as the unlock method for the home button. And that is really all I’m seeing. Assuming these are real, the differences could be very minor on the outside other than the metallic additions. On the inside, we are expecting Samsung to use a Quad HD (2560×1440) AMOLED display and an upgraded Snapdragon 805 processor. 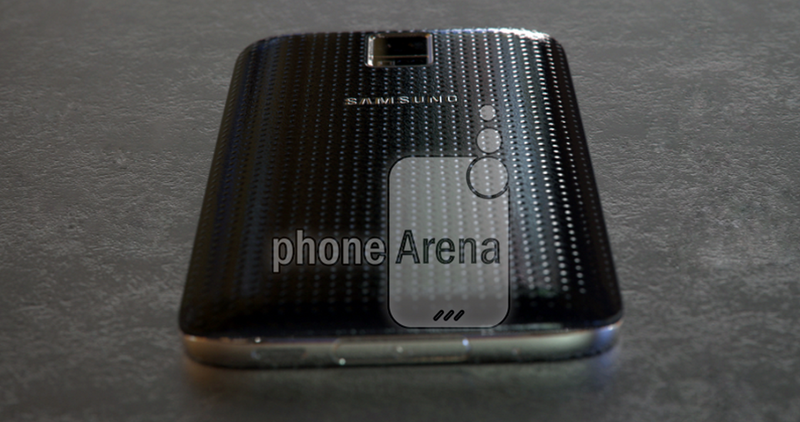 Current rumors suggest that the model number for the Galaxy S5 “Prime” is SM-G906. It may come in black, white, gold, blue and pink.